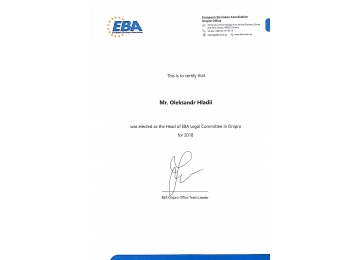 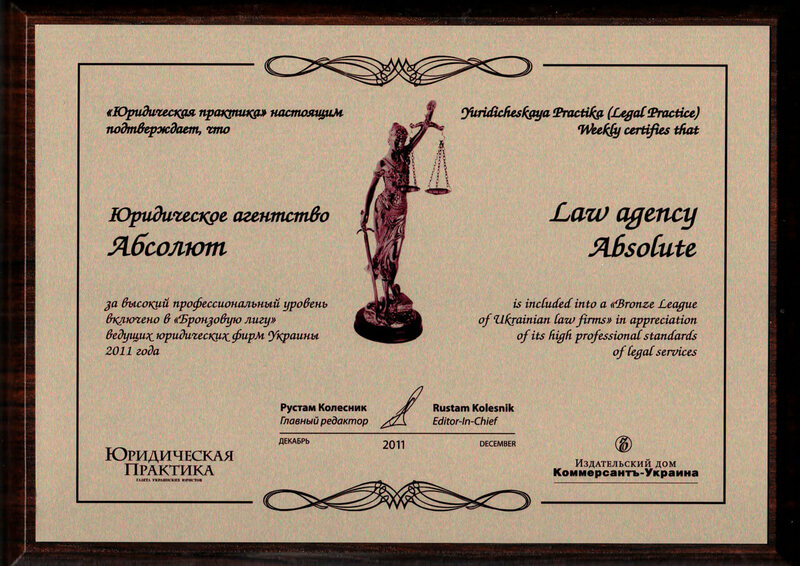 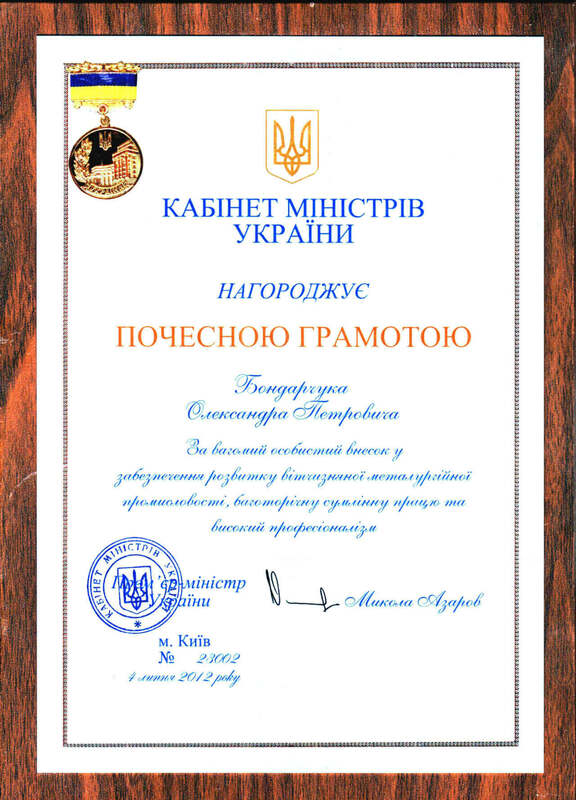 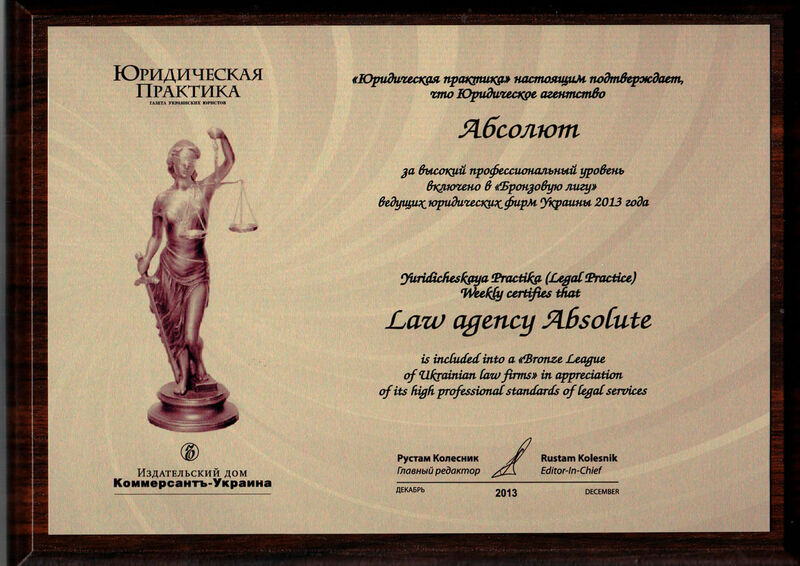 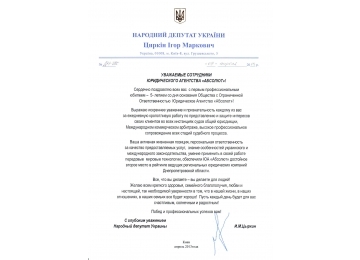 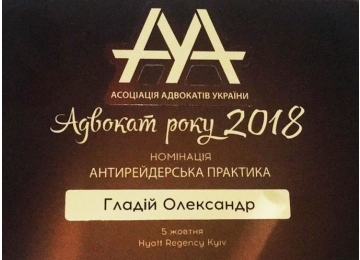 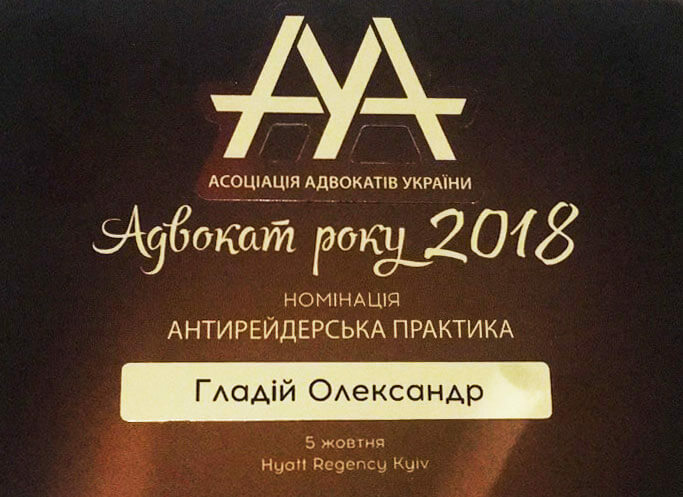 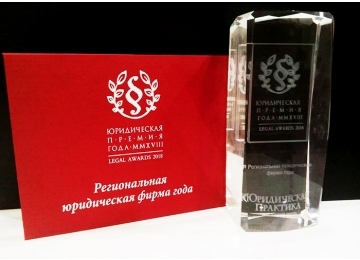 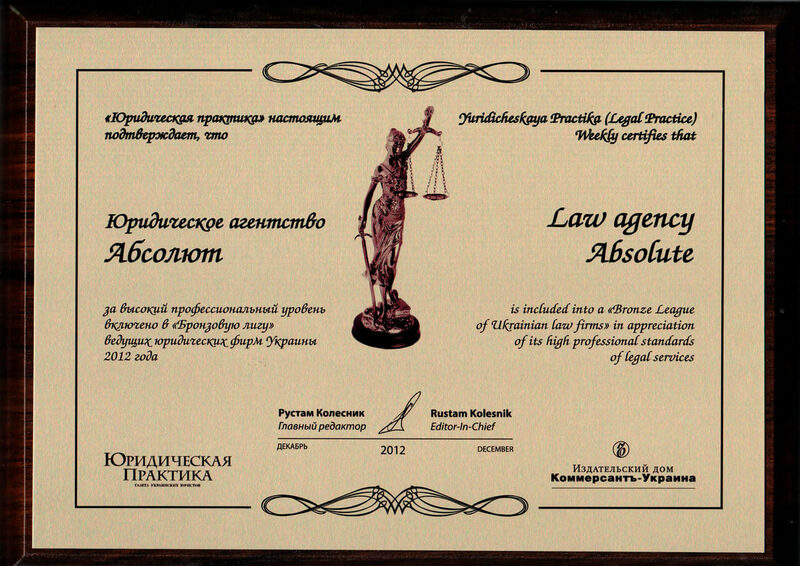 “Law Agency “Absolute” LLC is one of the leading companies in the South-Eastern region of Ukraine with more than 10 years of experience in providing legal services throughout Ukraine. 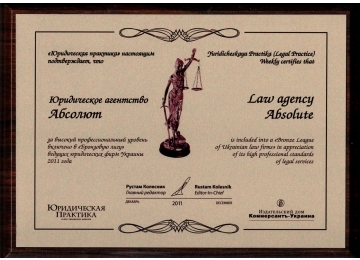 Our team includes more than 45 specialists with many years of experience in business, corporate, investment, tax, criminal, customs, antitrust, administrative and international law. 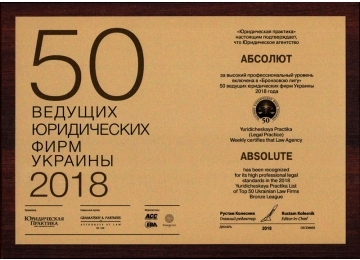 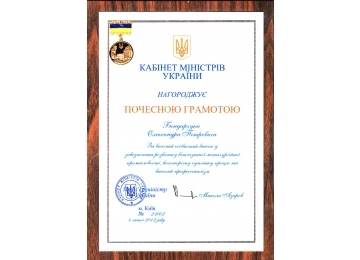 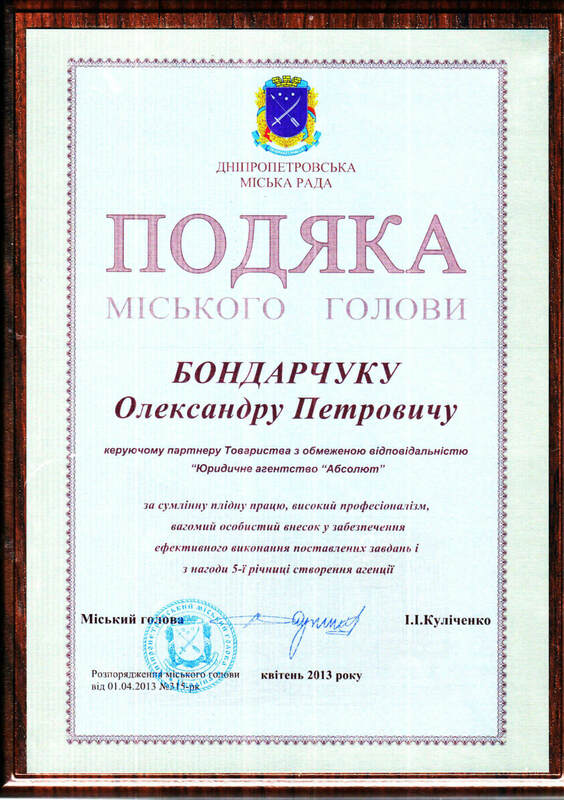 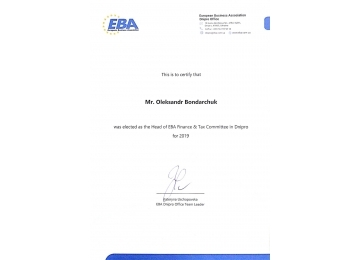 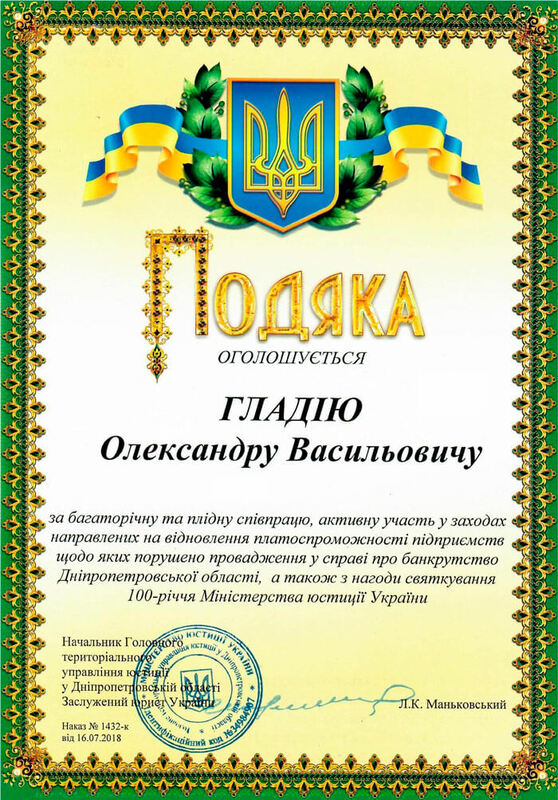 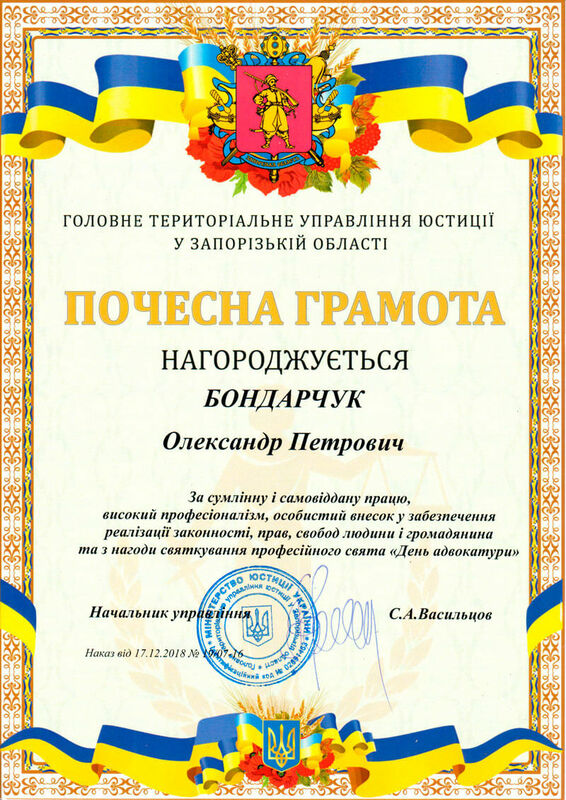 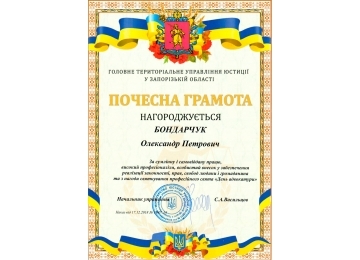 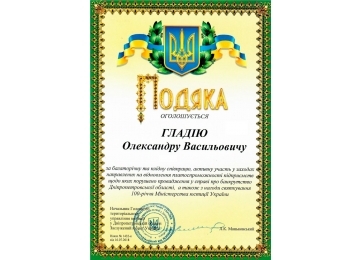 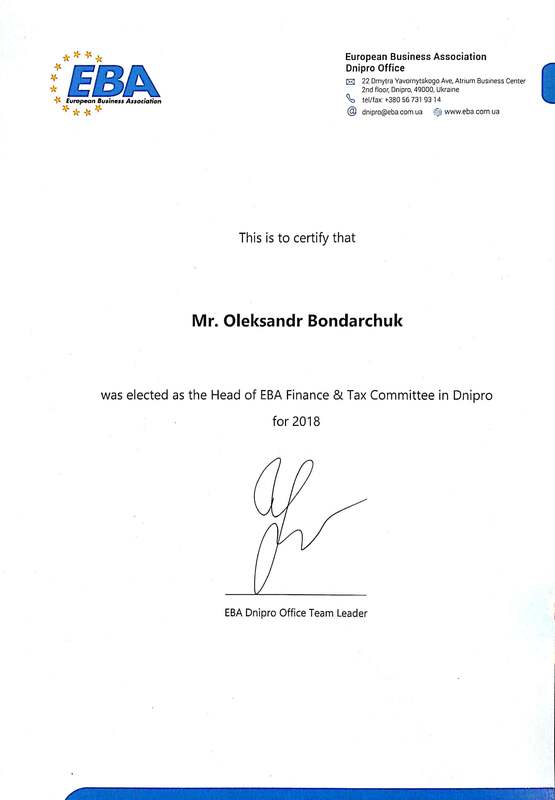 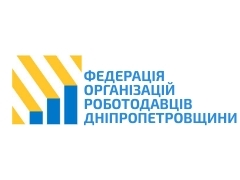 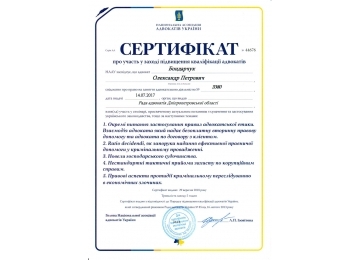 Each employee of the company shares the values ​​of the company and strives to achieve the basic common goals – brilliant implementation of projects, strengthening of positions in the legal market of Ukraine and improving the level of customer service. 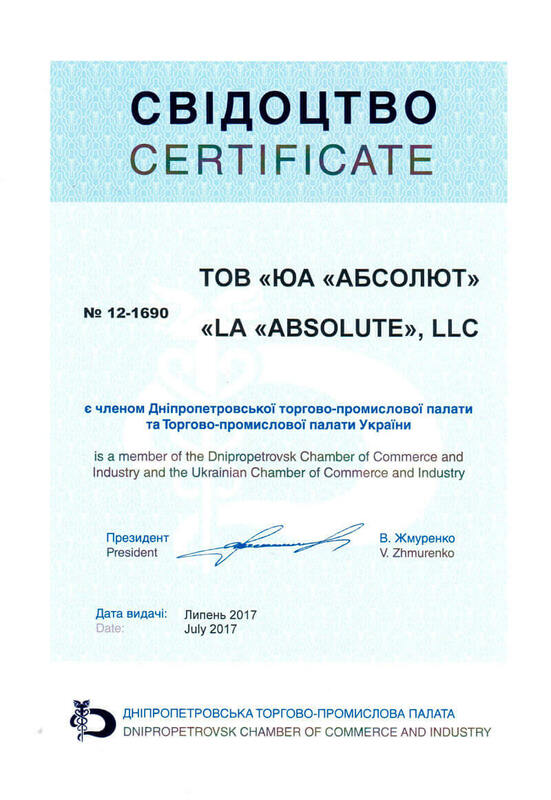 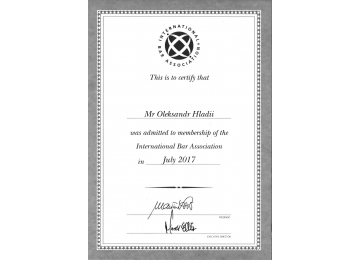 WE SUCCESSFULLY COOPERATE WITH LARGE UKRAINIAN ENTERPRISES, INTERNATIONAL COMPANIES, STATE STRUCTURES, BANKS AND IT-CORPORATIONS. 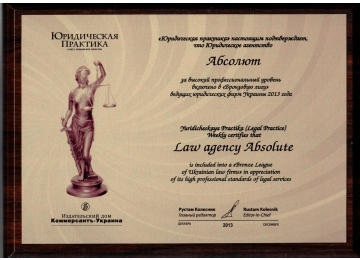 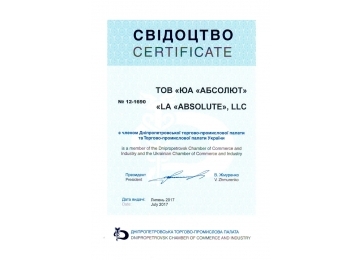 Specialists of LA "Absolute" carry out projects and represent the interests of our clients in the courts not only in Dnipro and Kyiv, but also in Kharkov, Poltava, Odesa, Vinnytsia, Khmelnitsky, Rivne, Ternopil, Lviv, Zaporozhye, Mykolaiv Kherson, Chernigov and Sumy regions. 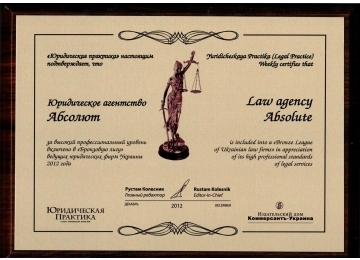 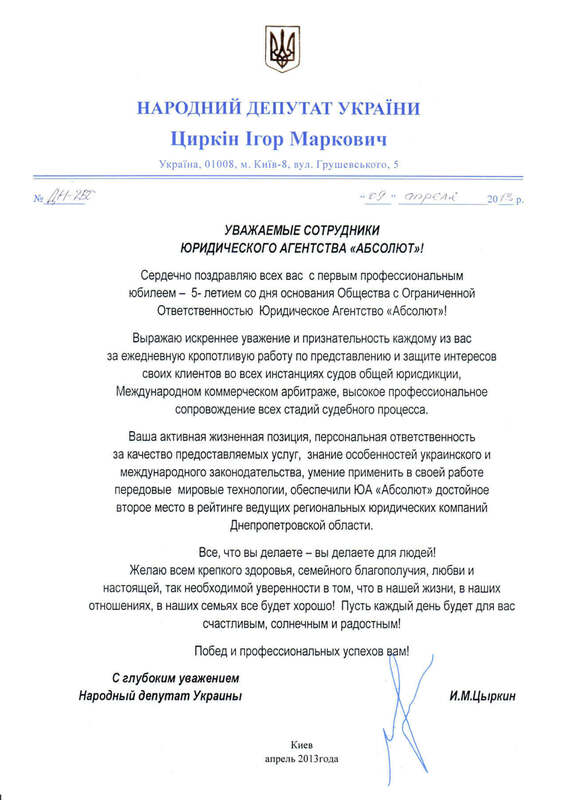 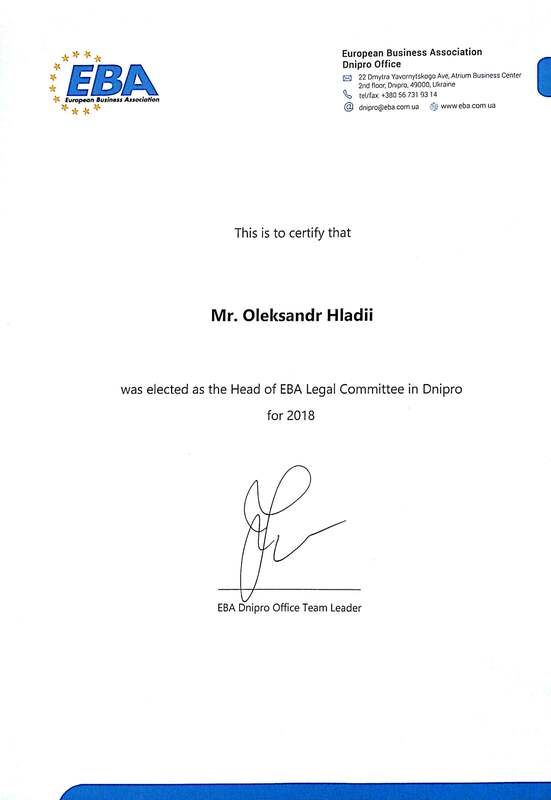 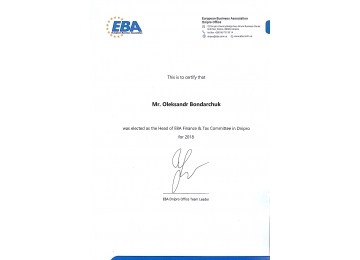 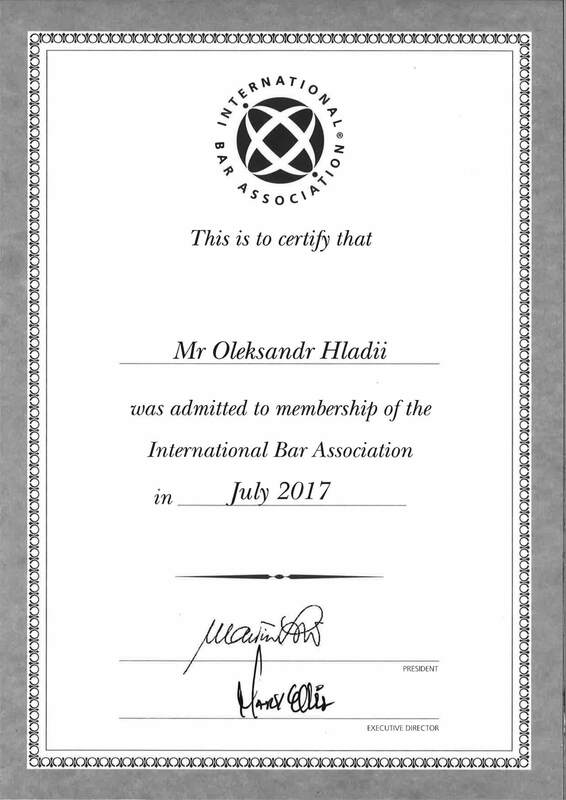 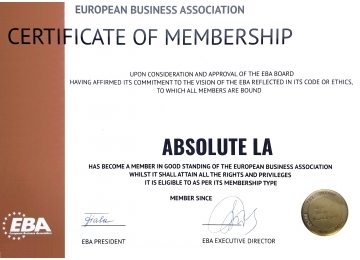 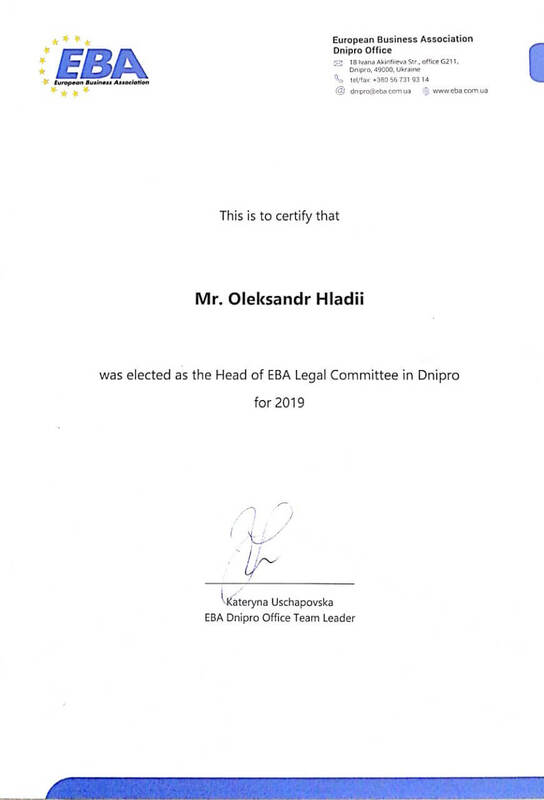 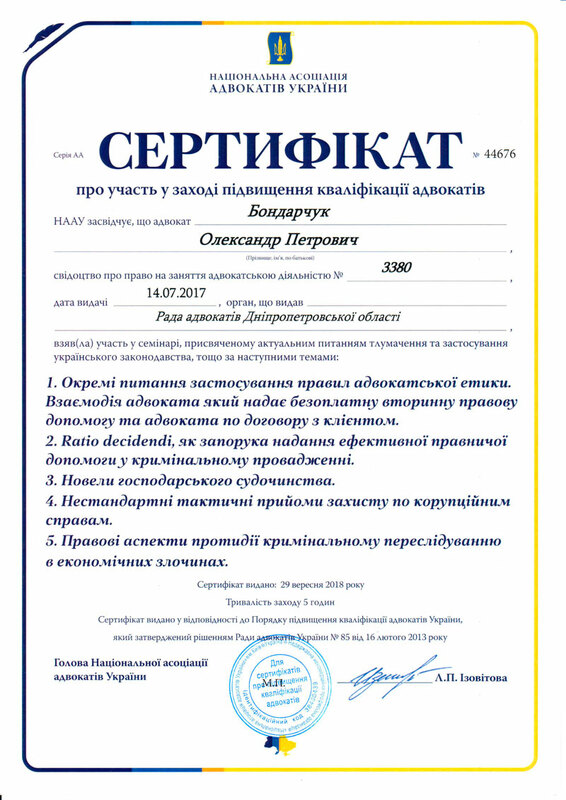 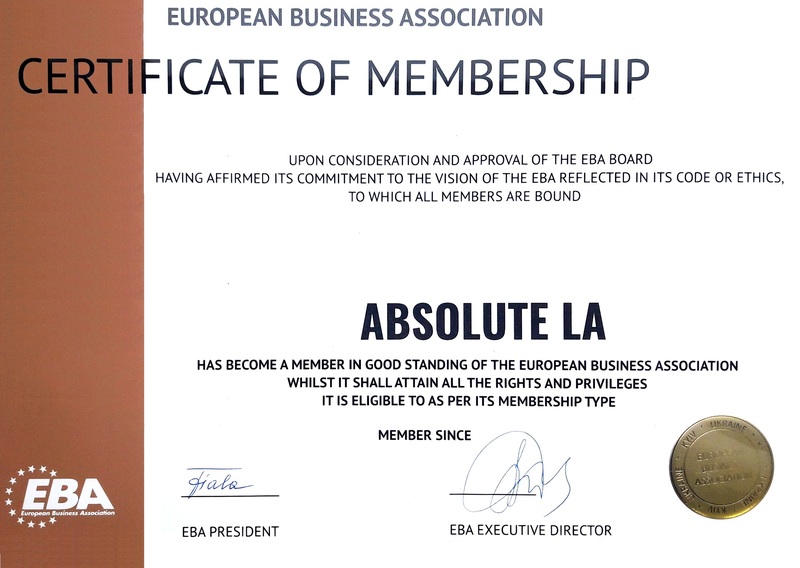 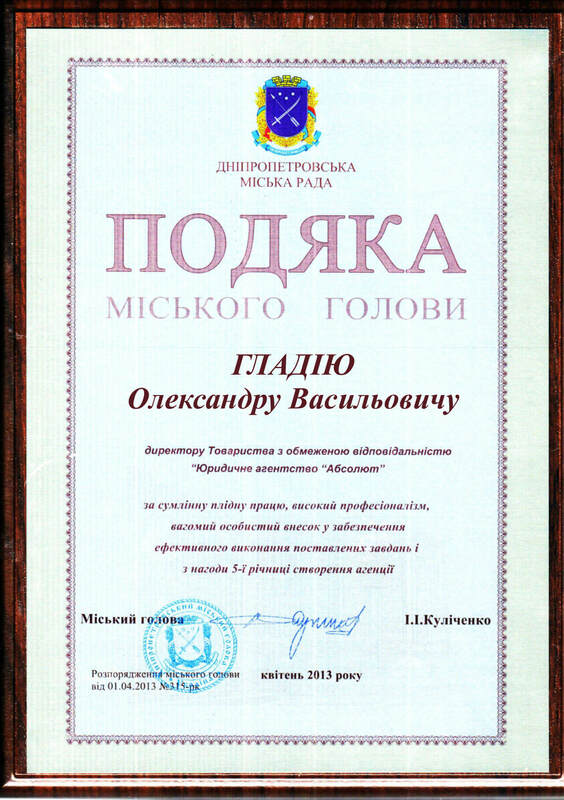 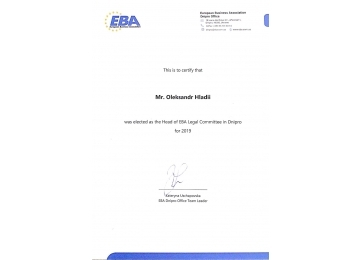 Due to understanding of the client's strategic business goals and professional approach to solving his problem, LA "Absolute" deservedly gained a reputation as a reliable legal advisor and partner. 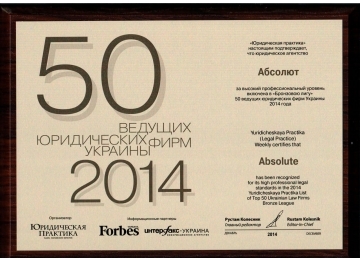 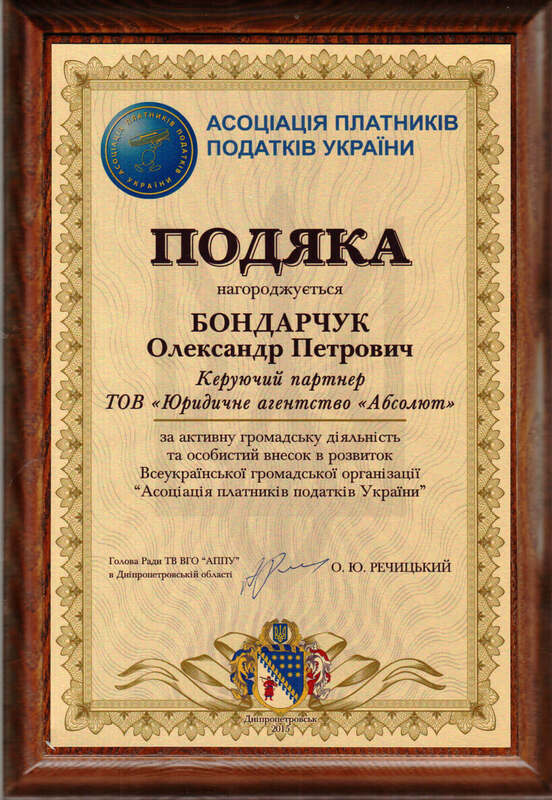 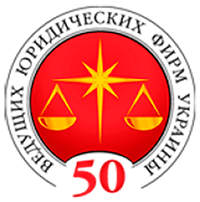 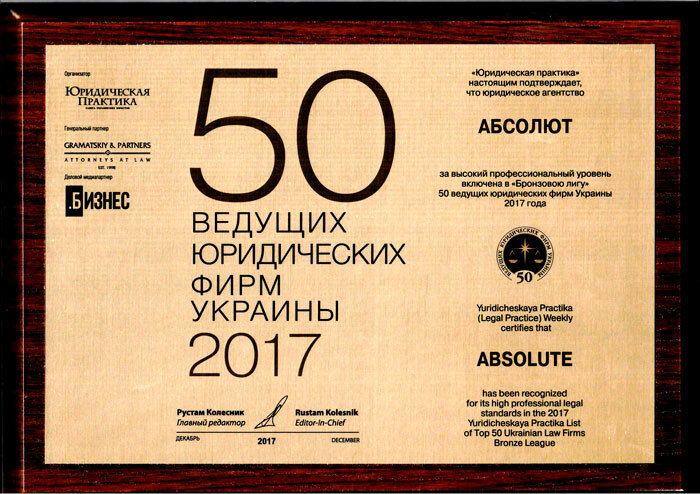 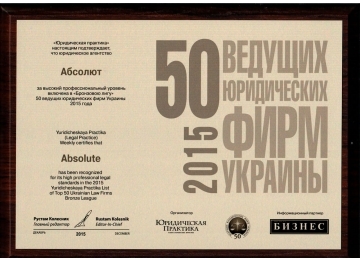 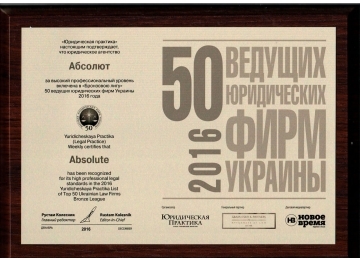 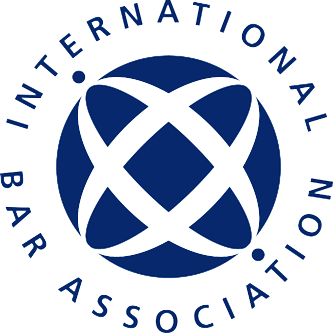 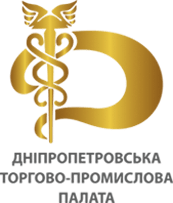 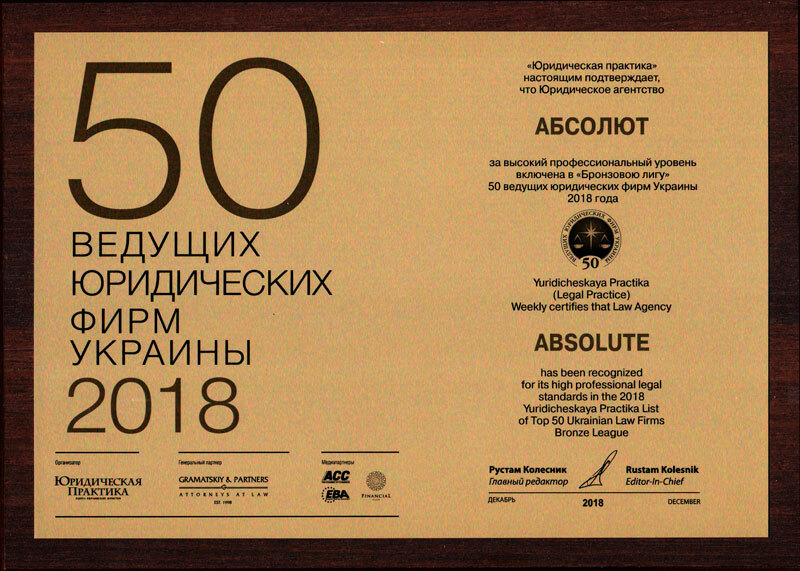 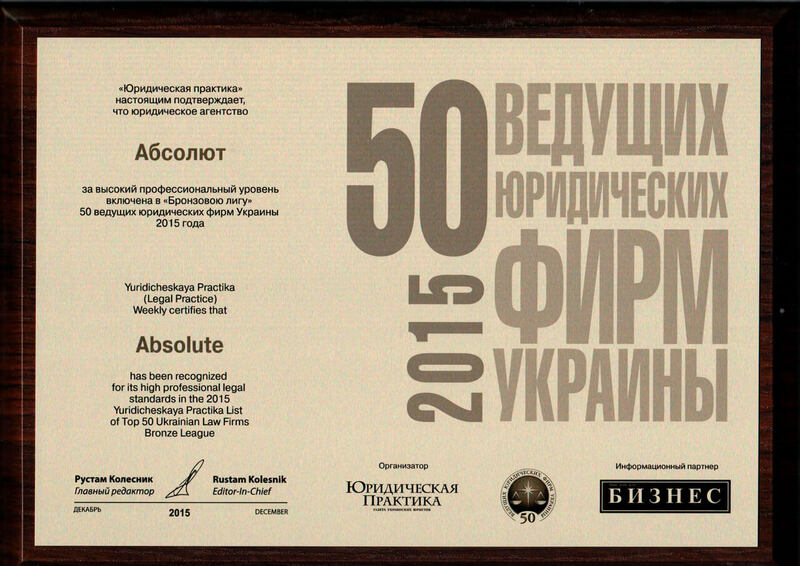 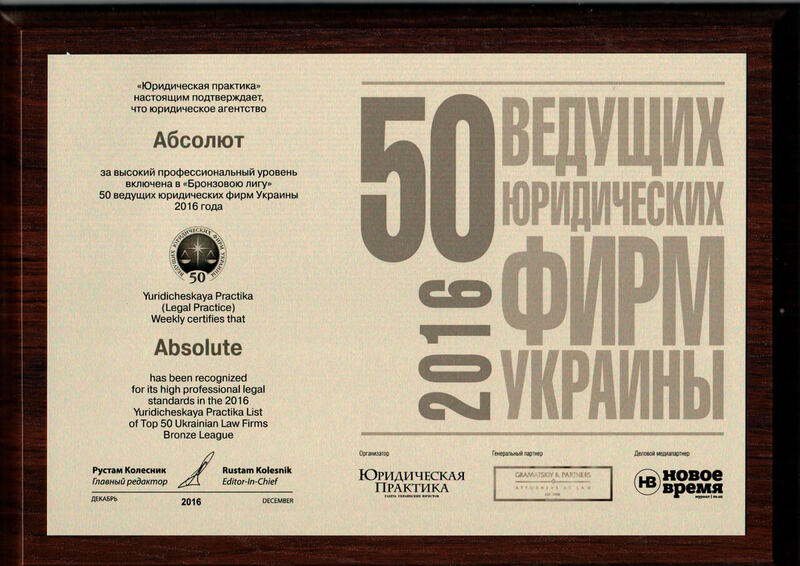 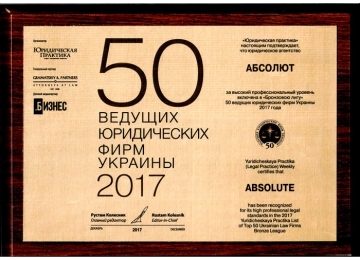 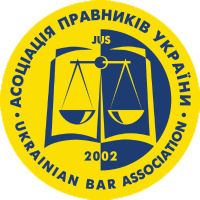 "50 Leading Ukrainian Law Firms of 2017"